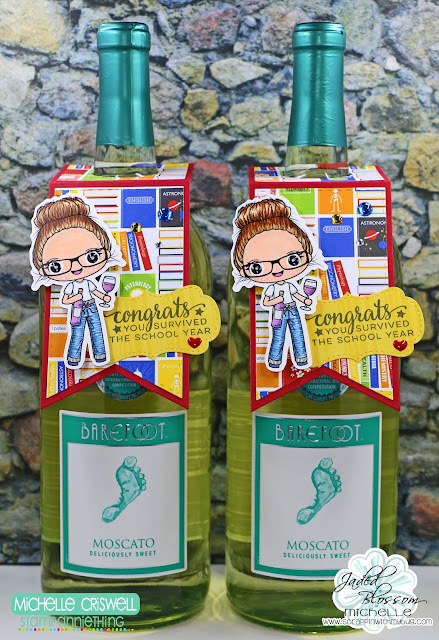 End of Year teacher gift ! 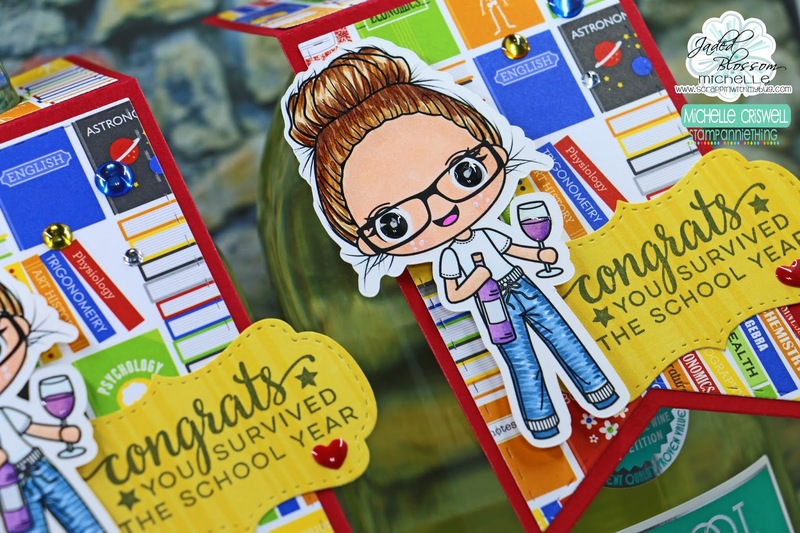 School ends this week! So I made a gift for my daughters teacher and the librarian who is always soooo sweet to her and hugs her every morning ! I used copics to color her and glossy accents on her eyes and wine glass ! 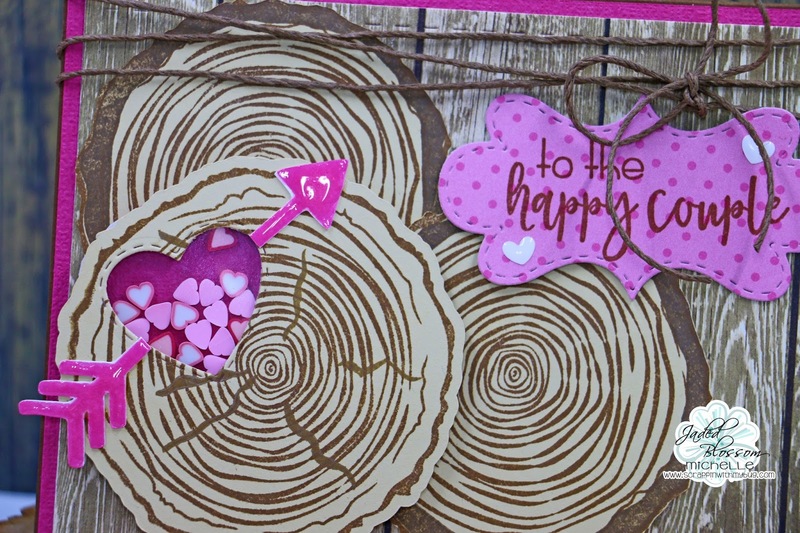 Thanks so much for stopping by to check out my gift ! 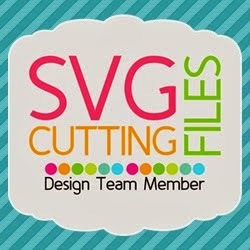 My day over at SVG Cutting Files! 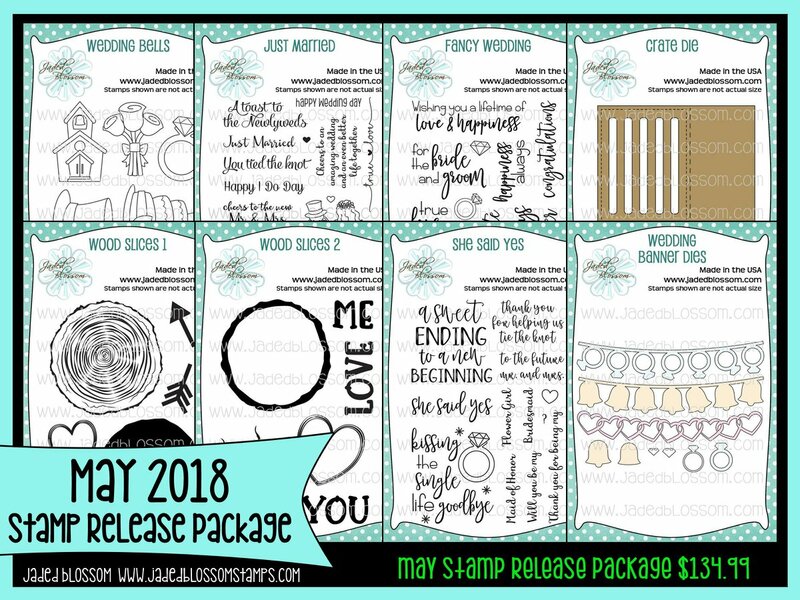 Welcome to Jaded Blossom's May 2018 Release Blog Hop. 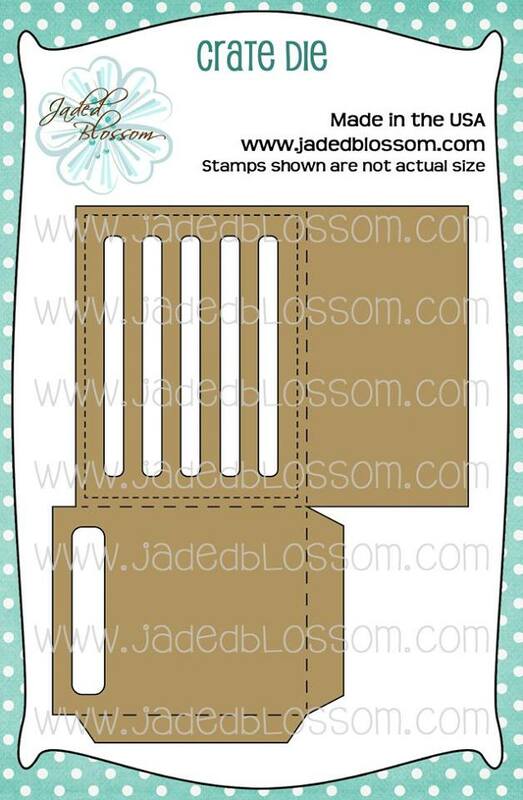 Did you know graham crackers come packaged in squares now inside the box??? I didn't but Yay because they fit PERFECT in the NEW Crate Box !!!! 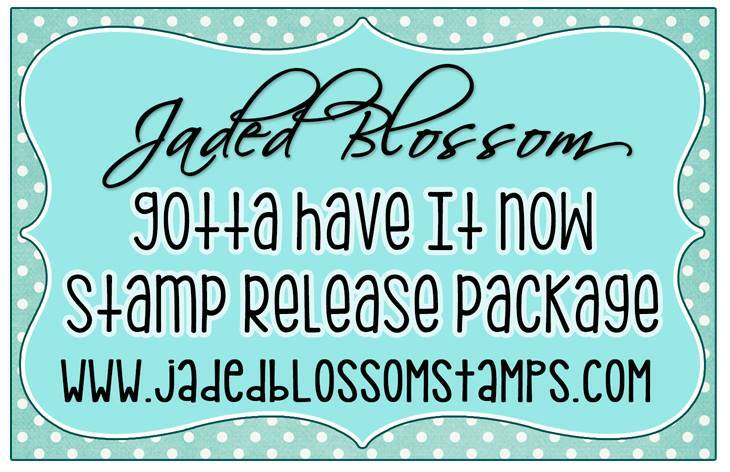 Jaded Blossom Release Day 5 ~ She Said Yes! 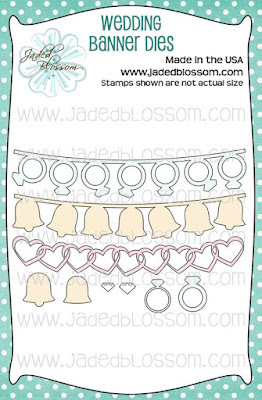 I used silver glitter paper for the rings to make them sparkle ! 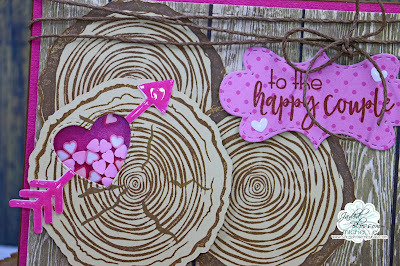 Here are the 2 sets being showcased today!! 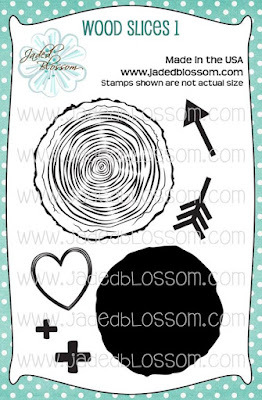 I've been wanting a wood stamp for awhile now and finally have one !! 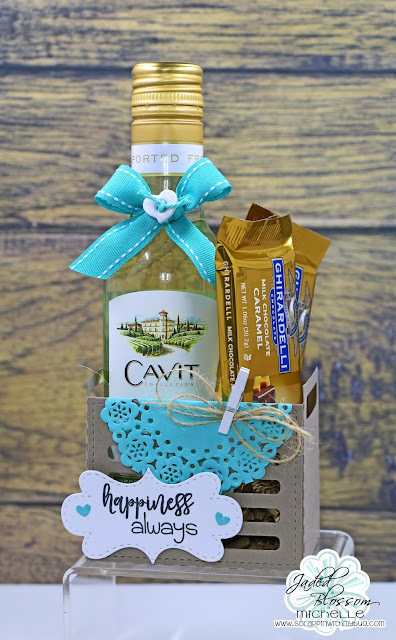 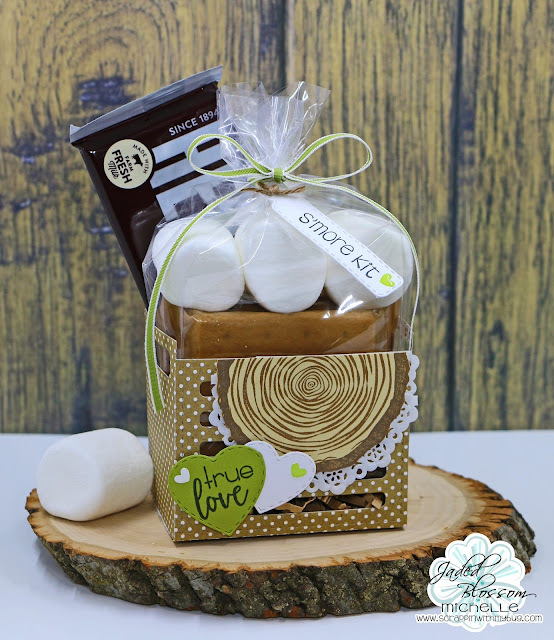 Love all the different layers you can use to customize your project! 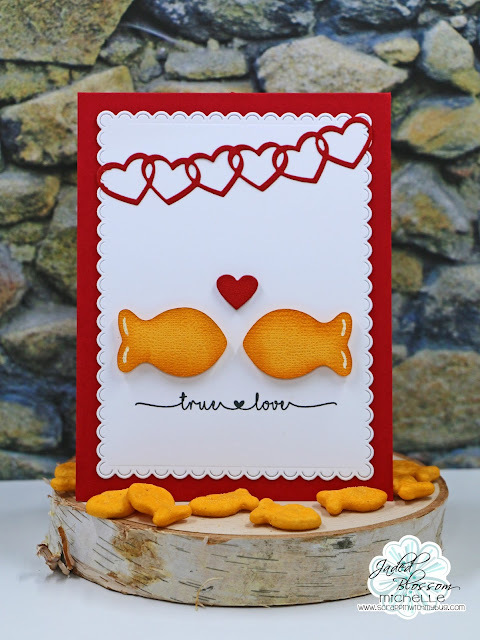 I used glossy accents on the arrow and created a shaker using heart pieces from Queen and Co. 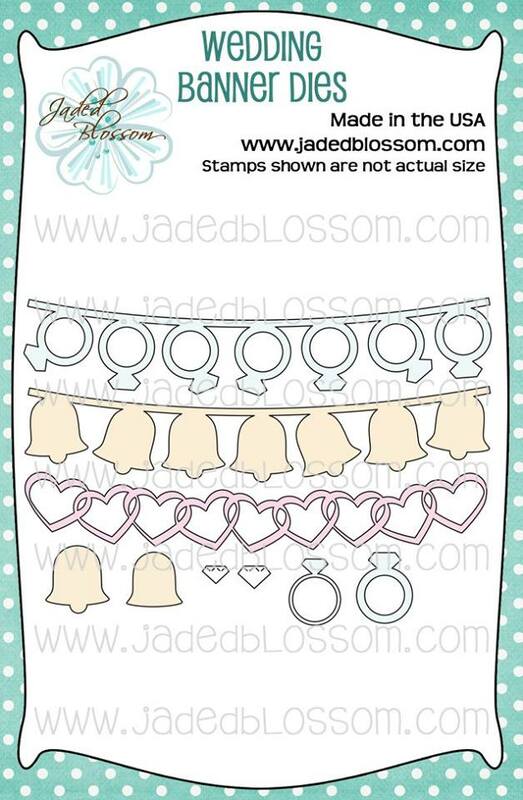 Here are the 2 sets that coordinate with each other !! 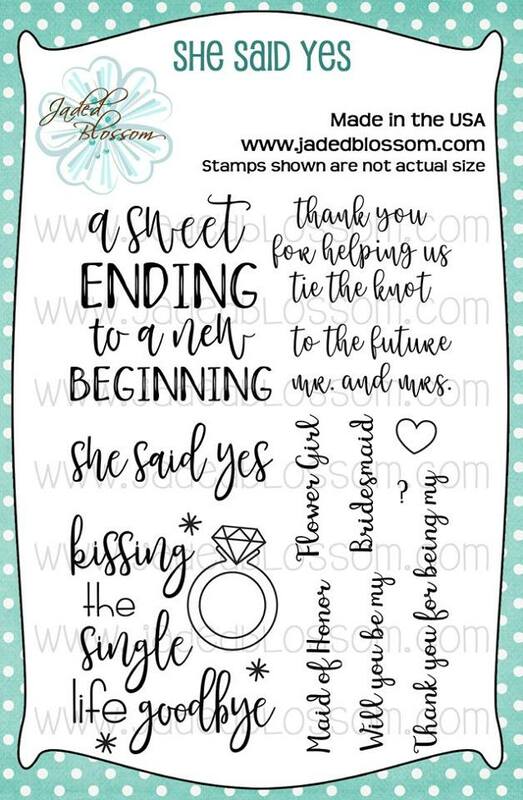 I like how these images can be used for more than just wedding ! 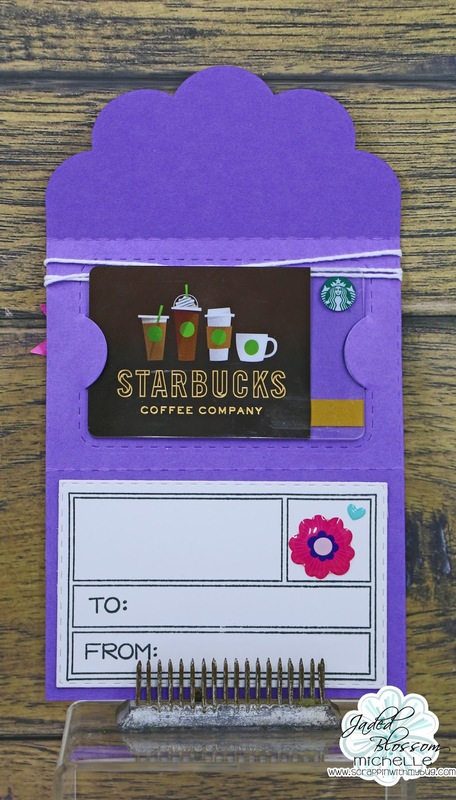 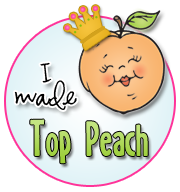 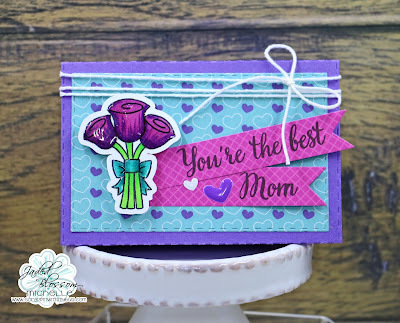 I created a gift card for Mothers Day ! 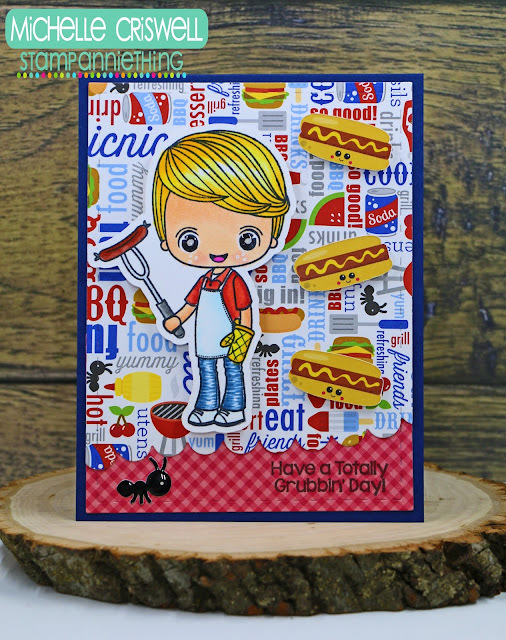 I used Copics to color the image then used Glossy accents on them! Here is the stamp set being showcased today !! Loving this NEW Crate die its tooo cute !!! 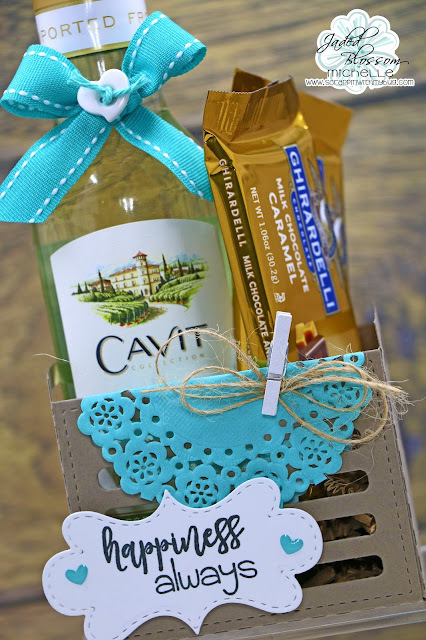 Who doesn't like to be given some wine and chocolates?? 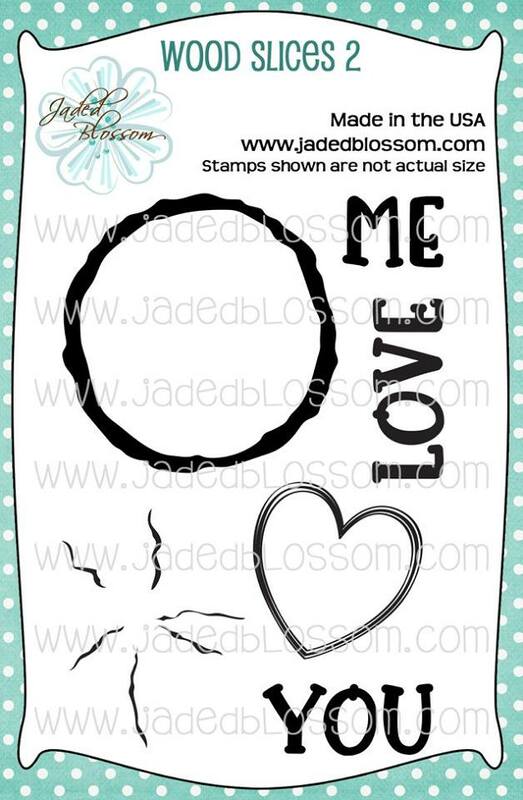 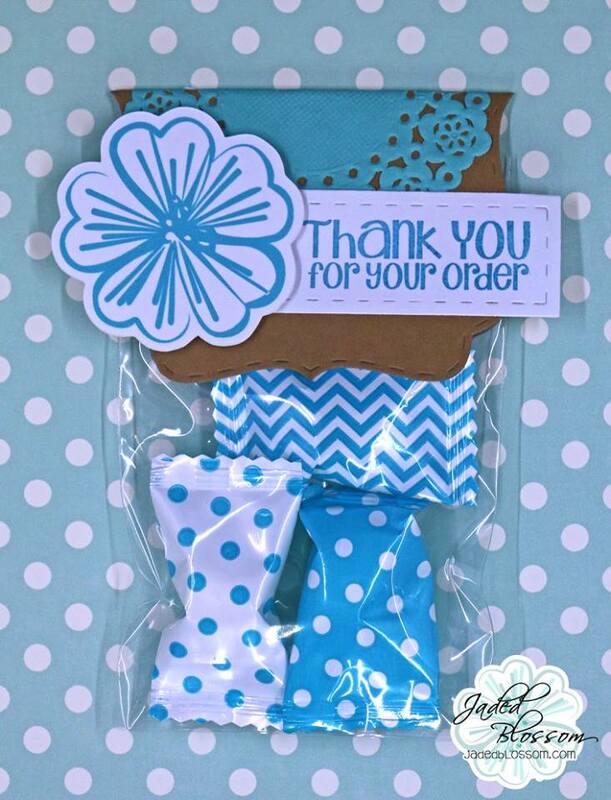 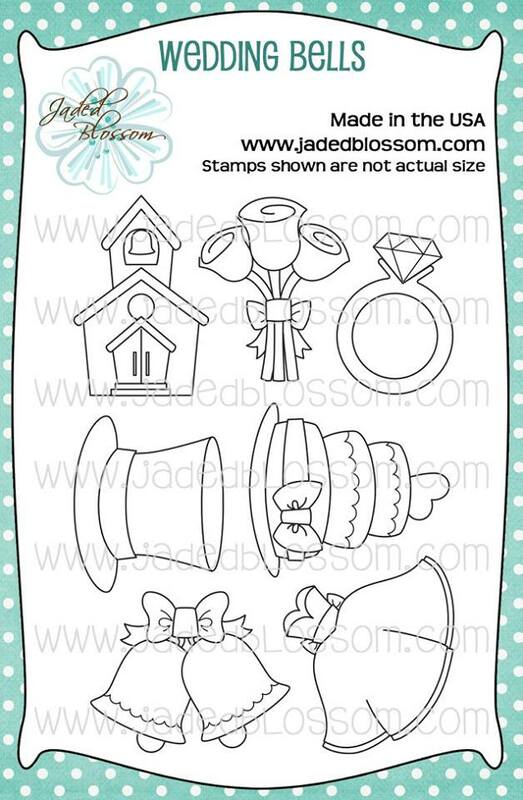 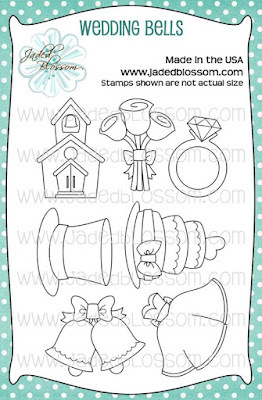 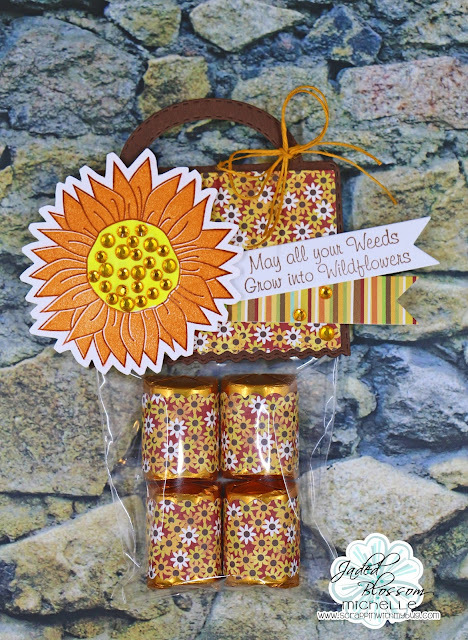 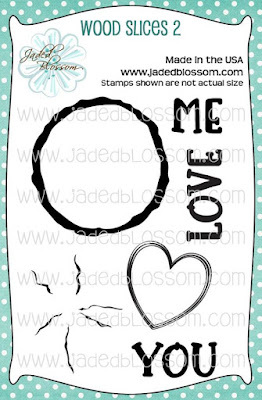 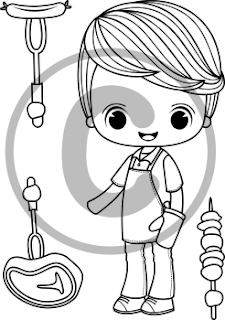 Accessories- Doily, clothespin and heart sprinkles from Doodlebug! 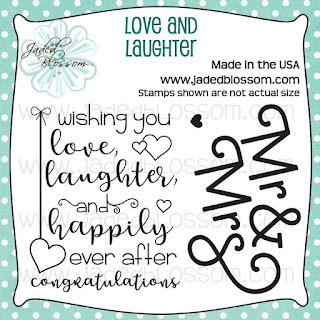 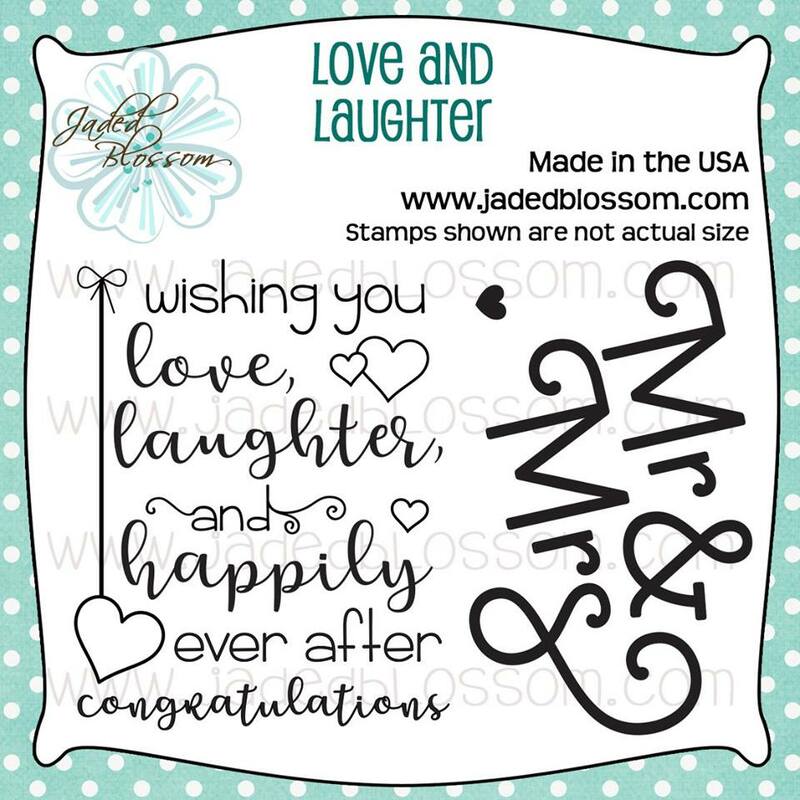 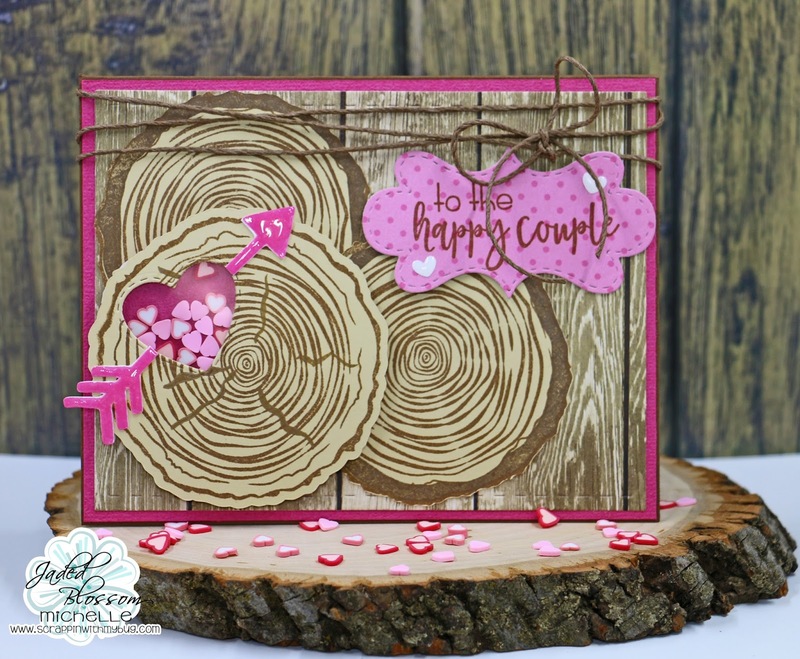 See the NEW die and stamp being showcased below ! 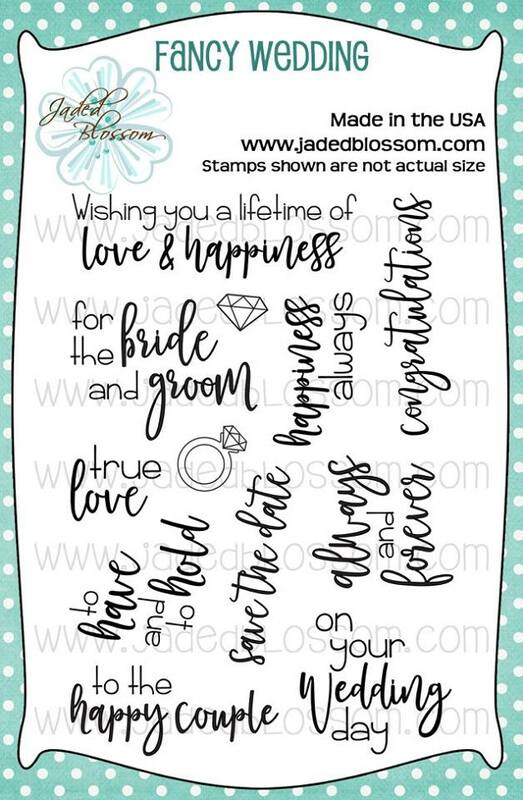 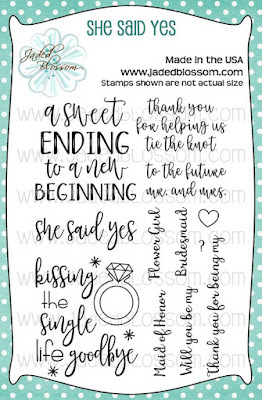 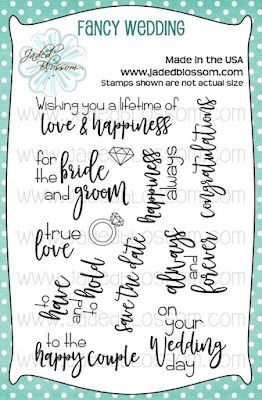 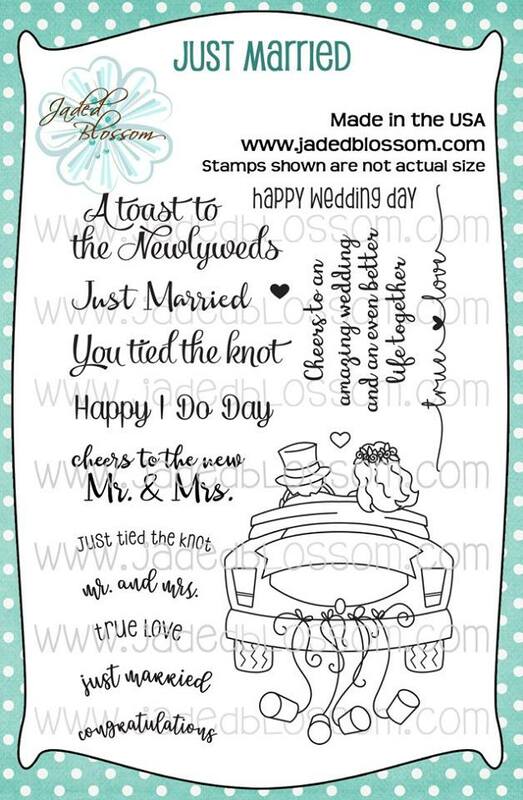 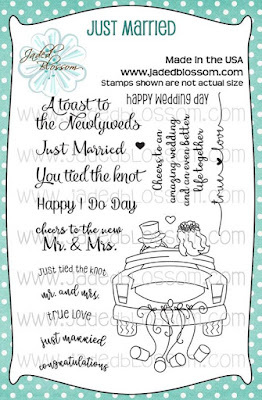 Jaded Blossom Release Day 1 ~ Wedding ! 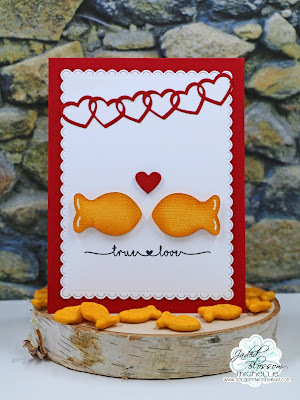 Today I created a sweet goldfish card ! Here is the NEW die and stamp being showcased today ! 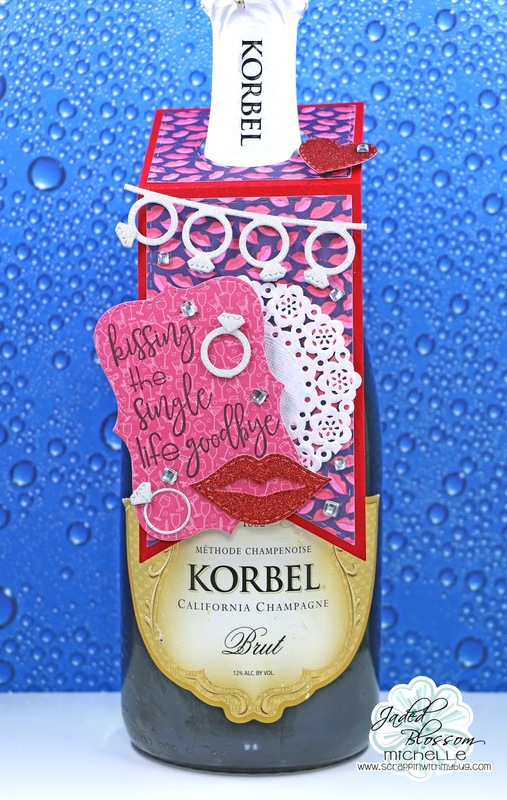 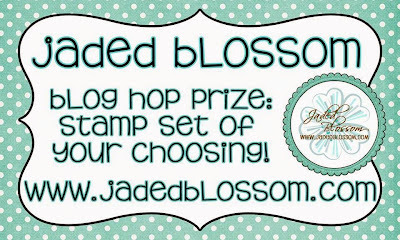 Jaded Blossom Challenge ~ Bling it Up ! 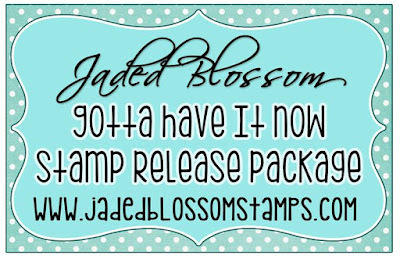 Its time for a NEW Jaded Blossom Challenge ! 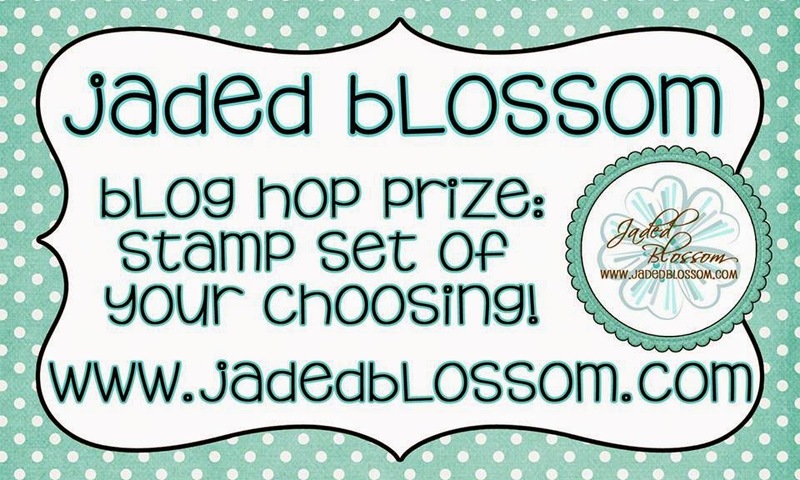 Join in our challenge at the Jaded Blossom Blog! A NEW challenge the first Sunday of every month !! 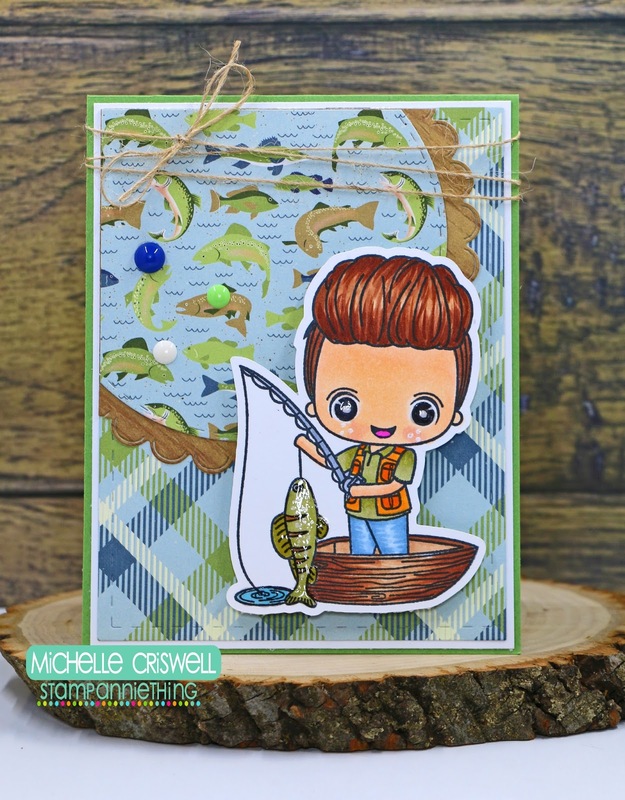 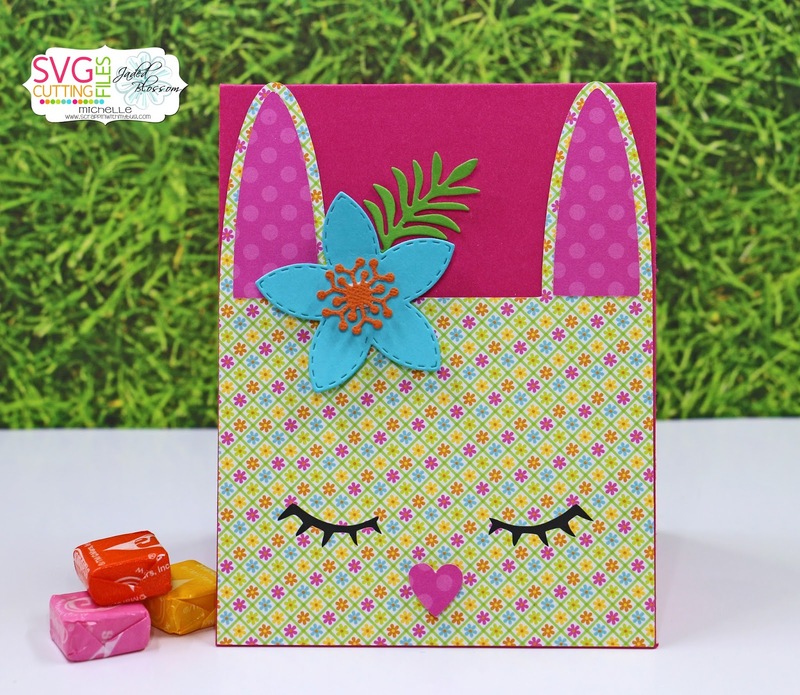 The paper and cute ant is from Doodlebug! 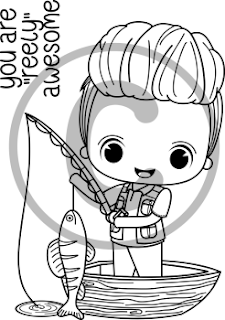 I used copics to color him and glossy accents on the fish, water and his eyes! 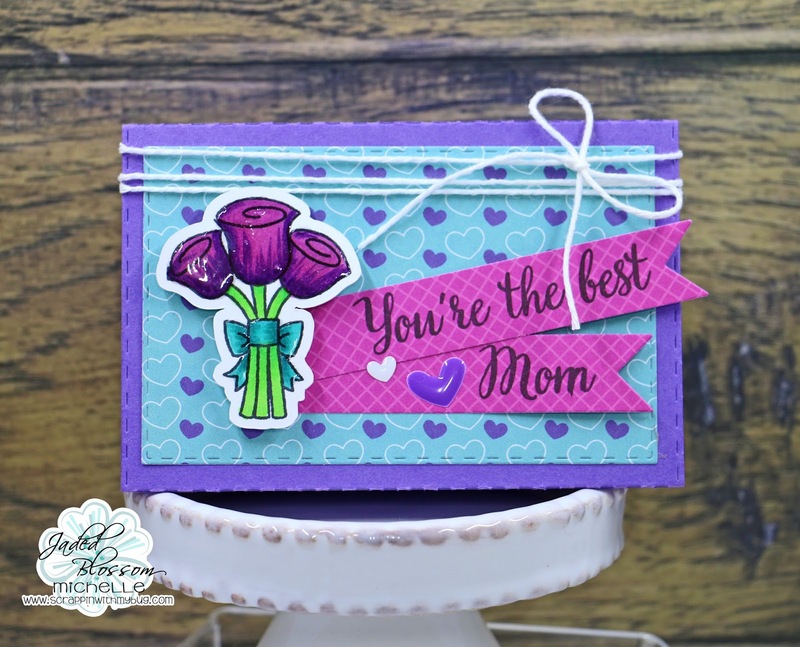 The paper is from Photoplay!